Rambles will be busy on Sunday Jan 2nd. 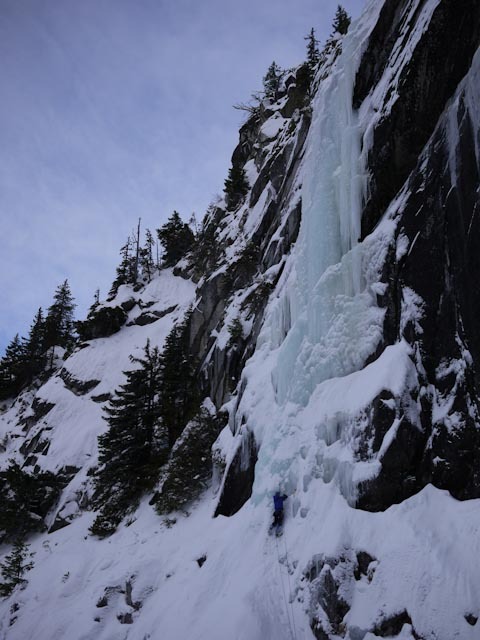 There will be a large group (11 persons) of BCMC ice climbers at the Rambles on Sunday, Jan 2nd. 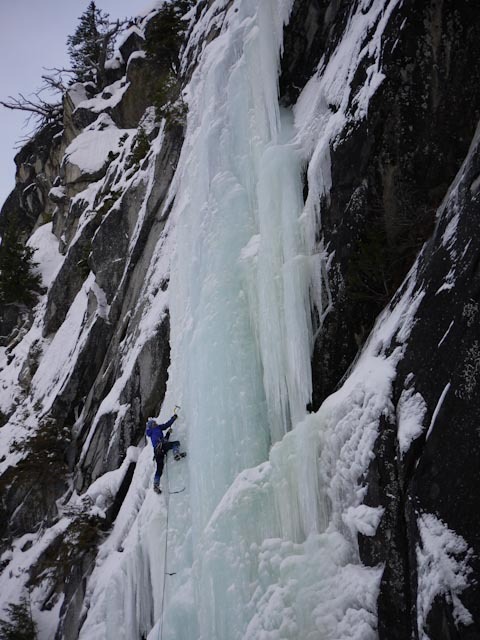 Jia Condon climbed the Plum on Dec 28 with Rich Prohaska, and Andrew Howell. The snow on the approach was isothermal (likely set up now with the colder temps) and knee deep. The first pitch was OK with some open holes near the top. Second pitch is fat. 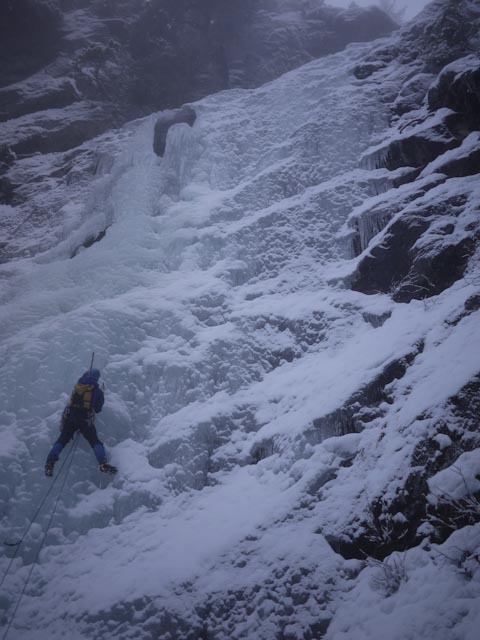 Third pitch was thin, funky, and detached near top – it’s not a gimme and deserves recognition on the exit! 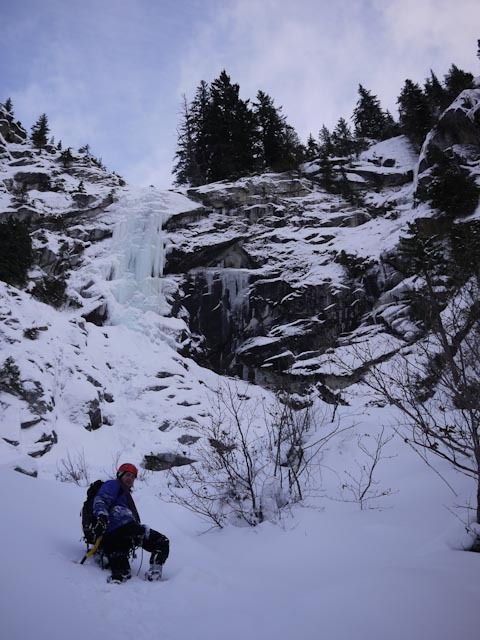 It felt like you could fall between the ice and rock/water (even on the intermediate steps). Walking between and to the upper pitches was knee to thigh deep (Dry snow even on the 28th at that elevation), and has many open holes. The top/fourth pitch was in great shape. White Blotter was not in “then”.